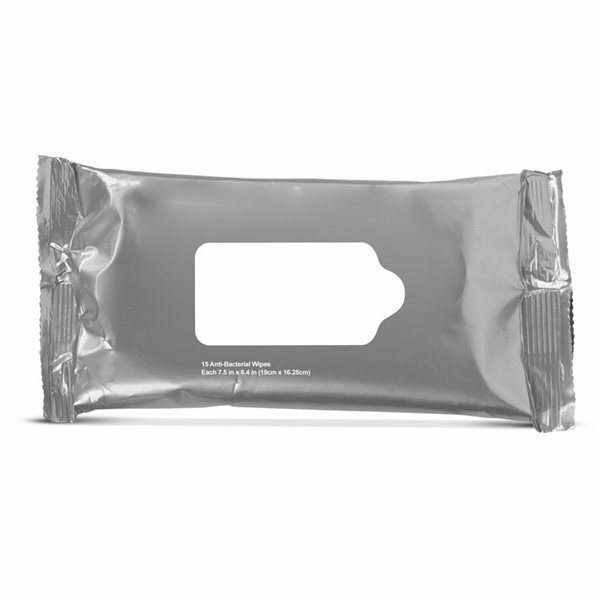 Wipes are made from non-woven polypropylene, and the pouch is made of foil. 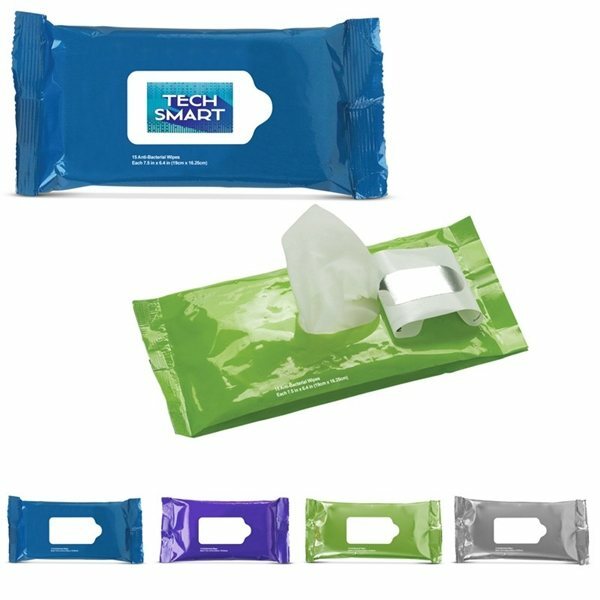 Antibacterial disposable wipes in a resealable pouch. 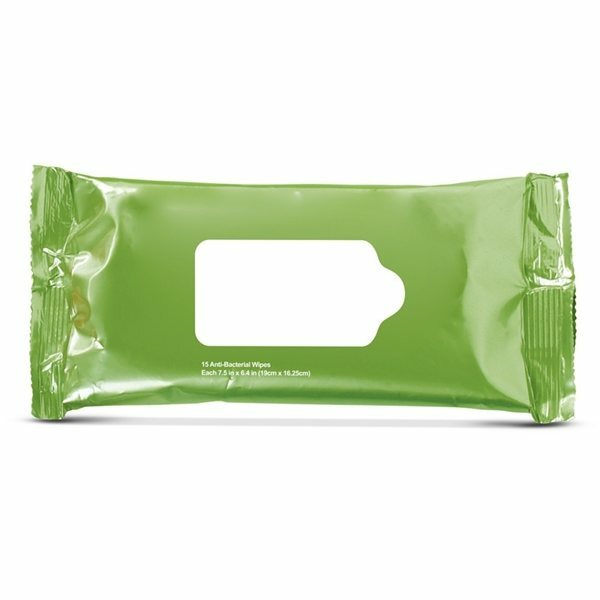 Each pouch contains 15 wipes and meets FDA requirements. Great service, price and product--thank you! Everything arrived on the scene superbly and the way I imagined it. Really impressed with the quality. Adorable for the use of a school! Fantastic!!! 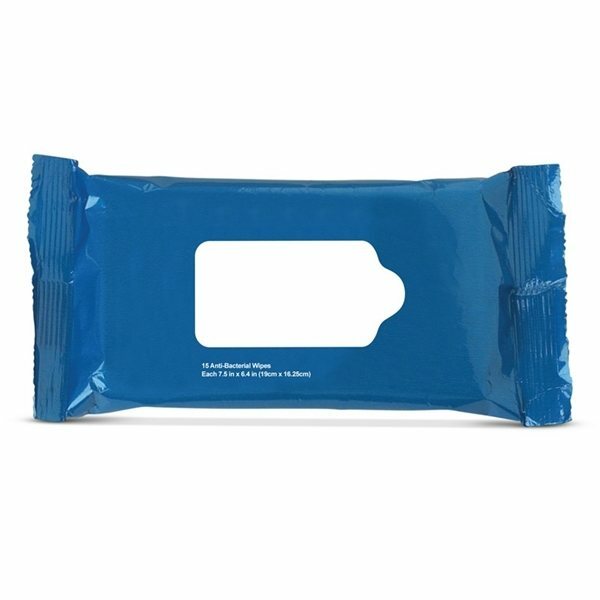 Especially the free sample program. 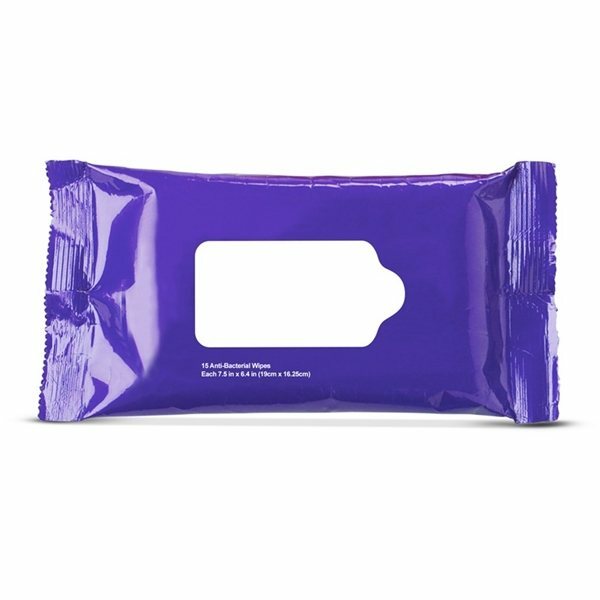 I can actually see and use the product to determine if I like to purchase the order or not. the look was a sharp reproduciton. Everything was perfect. Excellent product and high quality.